The room was buzzing — between six and eight visitors, two teachers, the occasional popping in of a spousal unit (mine) — all evening. People were learning. People were sharing. Everyone was working together to do something for someone else. Someone less fortunate. I think quilting is fun regardless of the destiny of a quilt — but a room full of quilters making quilts for the sick is beyond fun. 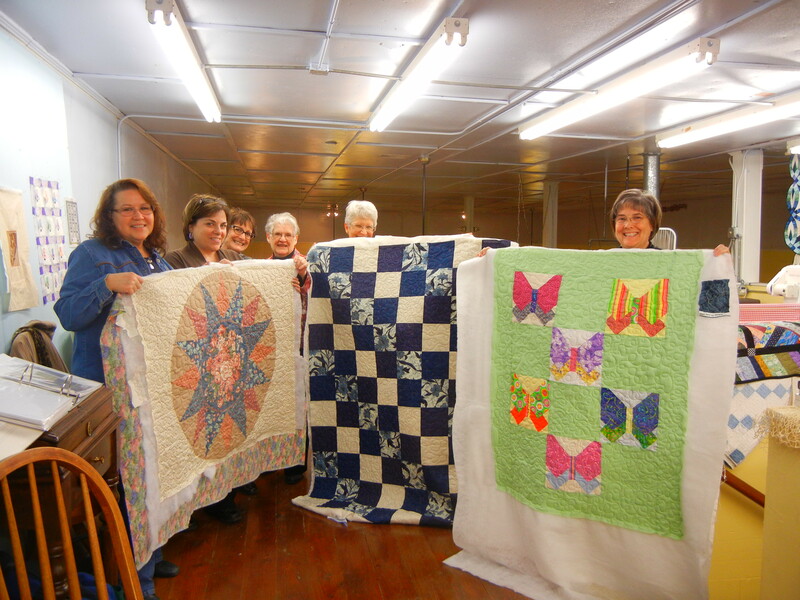 We were pushing ourselves, wanting to accomplish as much as possible in the time we had — and we finished three quilts. Three people will be warmer. Three people will know someone cared. Three people will be reminded of the providence of God. It’s a great feeling of joy.